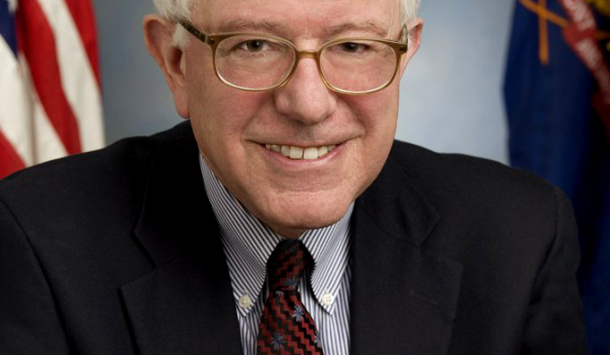 Ecosprinter | After Super Tuesday: What’s Your Plan B Mr. Sanders? After Super Tuesday: What’s Your Plan B Mr. Sanders? It is time to prepare for post-Sanders Left politics in the US. On a discursive level, he contributed a lot to shifting the epicenter of Democratic politics and he will likely continue his campaign after. But the question to raise is today, what will he do now? Not just in terms of campaigning, but in shifting his visible and public goals. We can see that it is essential now how this campaign will evolve to integrate people in the political process. He has the money and enough attention. In his approach he has been a moderate Social Democrat but not radical. Yet his success was that he wasn’t distancing himself from the political Center in the usual arrogant way we know from the sectretarian Left of the past decades, but addressing it with messages from the Left and not becoming the Center as Clinton is. Until now it has been kind of a performance and part of the daily show business of US-campaigning, nothing sustainable. Massachusetts should be a sign to the Sanders campaign. Though the liberal state has not much to say generally in the race, in Massachusetts Sanders was supposed to win, alongside with closing the gap in the strongholds of Clinton. Sometimes a defeat can be a chance and is actually a win. Sometimes the frustration can be a threat and lead to new projections, in this case meaning Trump. In the end, not Hillary or the DNC establishment but Trump killed Sanders’ campaign. Trump drew all the attention from the social question to the cultural and national. Sanders has trust in the social question, the class struggle, whereas Clinton has it true or not in the cultural ‘war’ (migration, civil rights, women’s rights, LGBT rights). The liberal media hysteria has helped to set Trump and ‘cultural war’ in the center of everything right now. Liberal hysteria: It is Trump all over again. Yet we should not think Trump will definitely win the presidency, but nonetheless he has his chances. Trump is not a Conservative, rather he is an European style Right-wing Populist. Media, the Liberal establishment (as most parts of the US-Left in general) in the US don’t understand this new phenomenon and make the number one mistakes at the moment in countering it. First, they are putting all the attention on it, because they debate it with enormous outrage. Second, they feel the need to ignore it or dismiss it as mere craziness and as a result, its starts all over again, more aggressive. Between the dynamic of ignoring Trump or dismissing him as a lunatic and the outrage about him, the normalization of his spins, soundbites or to put it in other words the establishing of a new hegemonic discourse starts. Instead of addressing the Conservative center which is somewhere between Clinton and Kasich, as the most “reactionary”, liberal Media shifts the focus to Trump. That is understandable, because otherwise the center of American politics and liberal Media would have to deconstruct itself. The point would have been to let Clinton/Kasich look like the most Right wing and Trump just as a lunatic, running around with a filthy poster on Wall Street and canvassing the apocalypse and spreading crazy conspiracy theories. That could have only happened, if Sanders ran negative on Clinton. Or express it with a more dynamic terminology: to agonize with here and create more antagonism which would dominate the general debate in US public. That would not necessarily have paved the way for his victory, but would have shifted away the attention from Trump. So, Sanders approach of being noble and not negative was his main mistake. It would not have been necessary to do most dirty campaigning and spin against Clinton, but simply show her disastrous social and anti-liberal, pro-incarceration and Goldwater-ish record. Well, every campaign can be turned around, but it appears not very probable at this point as Clinton has strong ties with the Democratic Party establishment. Liberal media and party establishment did everything to avoid that a Sanders-Clinton antagonism could have dominated the US debate, rather it seems that they already prepared for Clinton-Trump or similar. To give an example, the GOP bombards the minds of US voters with numerous live debates, the DNC limited the numbers of debates rigidly. Who will play the trump against Mr. Drumpf? So let us see who can crush Trump in the end. Will it be the democratic candidate (most probably Clinton) or actually Corporate America and conservative capital jumping in? There has always been the understanding that the US will never turn fascist. A lot of people are doubting this right now. The historic term fascism is of course not adequate, but let us leave it with that for the while. Trump is not a Conservative in the tradition sense. He is not pushing flat tax, pro-life, anti-gay stuff that much. Though the rhetoric of the GOP candidates appear similarly disgusting there is a difference in them. Conservatism and Right-wing populism (to put it in more adequate terms and avoid liberal media hysteria) are united in ideological terms. These are both ideologies of inequality. The difference is that Conservatism wants to keep the social order, the ranks and roles in society. Conservatism tries to stabilize this inequality within the nation. Right-wing populism sorts out certain groups and excludes them from the people in general. Conservatism, though it logically leads to discrimination, is not an ideology of hate. It claims that people who are intellectually and socially different deserve the status in society they have, whereas Right-wing populism and other Far Right wing ideologies claim that there is one people, which needs one voice. “Make America Great Again” as Trump puts it, is a channelling of the narcissistic insult of those who imagine that the US is in decline and have been defeated and basically Trump gives an answer to insulated people in biographic crisis. This biographical crisis is more just than the trickle-down economic crisis but a variety of crisis, for instance crisis of masculinity and white America. Conservatism in the US is at the same time an ideology of freedom and individuality, technically it says you can change your status in society (if you “work hard” and so on). In comparison, European conservatism is a moderate form of collectivism, which hardly allows you to change your role in society. Trump is not about freedom, but about national unity and the imagination of one people being strong again. The individual is in this idea just an unite contributing to the greater collective cause: The nation. The Sanders campaign now needs to be about organizing people on a sustainable basis and not just temporarily. It needs to be about setting up the base for future activists and legislators on the State and Congressional level. There is also a chance to build capacities outside the Democratic party. 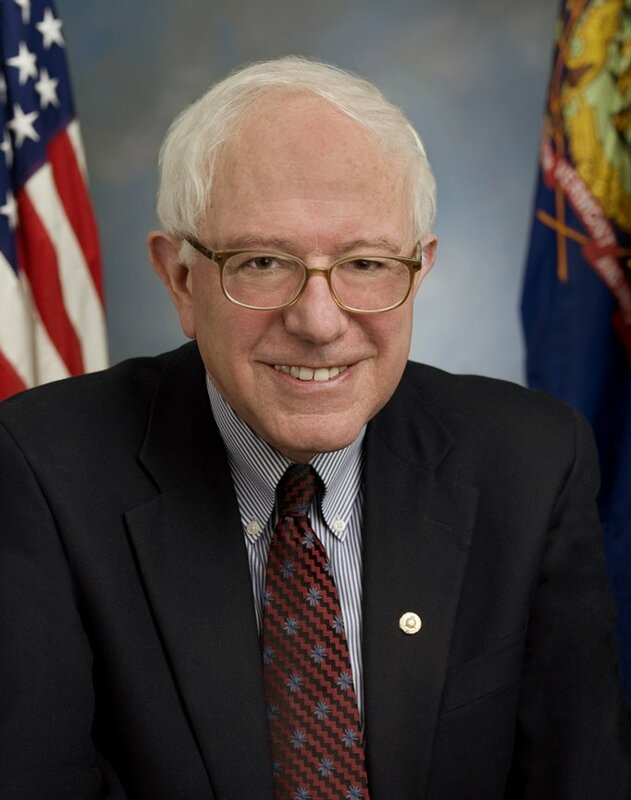 Looking at Sanders policies one could hardly say that we are back to a time where the Left dominates the public debate, but it is an awakening. Lets hope that this is a transition period and not another defeat on the way to barbarism again. Tagged #‎USElections ‪#‎SuperTuesday ‪#‎FeeltheBern ‪#‎BernieSanders ‪#‎HillaryClinton ‪#‎Clinton ‪#‎Sanders ‪#‎Trump ‪#‎DonaldTrump ‪#‎DNC ‪#‎GO. Bookmark the permalink.